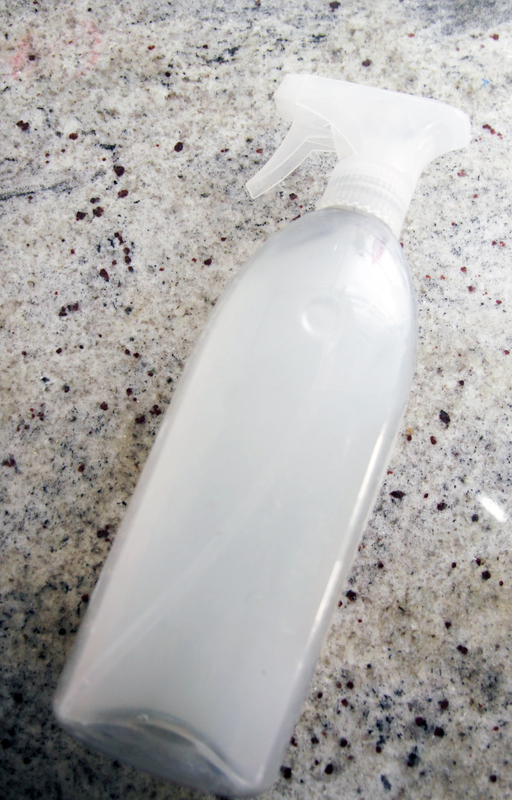 This DIY granite cleaner contains no dish detergent, so it’s all natural. It really makes the countertops sparkle! Works on tile and other surfaces, too. I don’t know about you, but when the new year rolls around, I get super motivated to clean and organize. I wish this lasted all year, but of course it doesn’t. Why not capitalize on it when we have the motivation though, right? We got granite countertops a few years ago and I had been using my homemade all purpose cleaner until I realized that some of the ingredients are not ideal for natural granite. So, I searched for a homemade and all natural solution for a granite-safe cleaner that is a fraction of the cost of the store bought kind. Most of the recipes I found call for dish detergent, but I wanted to see if I could make a completely natural version. I think I came up with a pretty good DIY granite cleaner recipe and so far, it has been making my countertops sparkle! It works on tile and other surfaces as well, so you can really go town with this stuff. 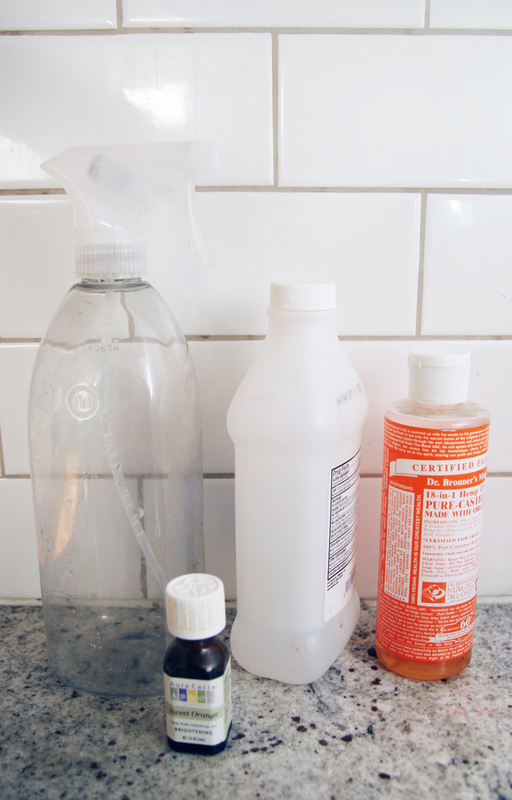 Mix all of the ingredients together in the spray bottle and you are ready to clean! 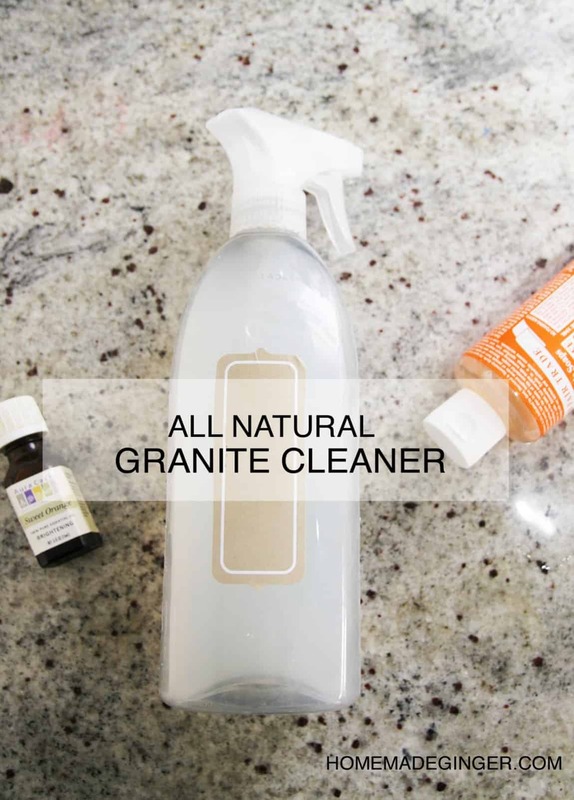 How is that for a DIY granite cleaner that is all natural? I used orange scented Dr. Bronner’s soap and orange essential oil. It smells so fresh when I clean! I’m a big fan of saving money by mixing up my own cleaning products. We just bought a new house and are planning on installing granite, so this is going to be perfect for us! Really nice idea for homemade cleaning product. I think more people should use this kind of products. Love your post. I can gain the knowledge from your article. Thank you so much for sharing valuable information with us. Does the orange essential oil contain citric acid? Wouldn’t this cause etching on granite or marble? Love the idea of the smell of orange but don’t want to damage the granite. Thank you!